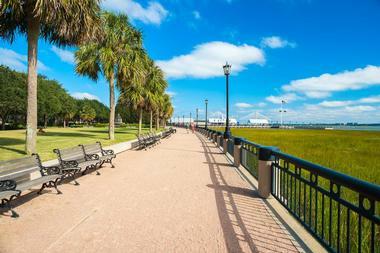 Charleston’s climate is subtropical which means mild winters and warm summers. The city sees 230 days of sunshine each year. Spring is the best time to visit Charleston because of its colorful azaleas, dogwoods, and other flowers that bloom between March and June. Summer is warm but there are cooling coastal breezes. Autumn brings sunshine, blue skies, and cooler temperatures. Winters are mild with rain and occasional snow flurries in late December or early January. 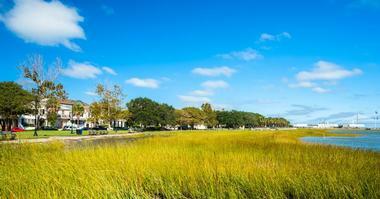 Spring and autumn are by far the best times to visit Charleston. There are fewer crowds; the temperatures are perfect; and room rates are slightly lower. January is the coldest month of the year in Charleston. Despite this, Charleston winters are generally enjoyable with the average low temperature not falling any lower than 38°F (3°C). The average high temperature to be expected is 59°F (15°C). In February, the temperatures go up to an average high of 63°F (17°C) and an average low of 41°F (5°C). Charleston Weather in March: The climate starts to get warmer in March as the average high temperature increases to 70°F (21°C). Meanwhile, the average low temperature 47°F (8°C) also makes a slight increase to. April continues to see an increase in average temperatures as Spring reaches its peak. Average high and average low temperatures range between 76°F (25°C) and 53°F (12°C). In May, Charleston receives the most sunshine out of the year at 323 hours. The average high temperature makes another jump to 83°F (28°C), while the average low temperature increases nearly ten degrees to 62°F (17°C). Charleston Weather in June: Things begin to really heat up in June with the arrival of summer. Temperatures easily hit the high 80’s with an average high temperature of 88°F (31°C). Evenings bring much more manageable temperatures with average lows of 70°F (21°C). July is the hottest month of the year with the average high temperature peaking at an incredible 91°F (33°C). The average low temperature also increases a few degrees to 73°F (23°C). In August, Charleston receives the most rain annually, hitting 7 inches (182 mm) of rainfall. The high precipitation rates also come with a decrease in the heat, with the average high and average low temperatures ranging between 89°F (32°C) and 72°F (22°C). Charleston Weather in September: Despite the arrival of fall, temperatures in September remain quite warm. The average high temperature peaks at 85°F (29°C) while the low temperature is 67°F (20°C). October brings a welcome drop in average high and average low temperatures which hover at 77°F (25°C) and 57°F (14°C) respectively. In November, the average high temperature makes another big drop to 70°F (21°C). The average low temperature sinks by ten degrees to 47°F (9°C). Meanwhile, November also sees the lowest precipitation rates in the entire year with rainfall averaging at 2 inches (62 mm). Charleston Weather in December: Charleston gets the least sunshine annually in December. The winter season is marked by another drop in temperature with the average high temperature settling at 62°F (16°C). The low temperature average is 40°F (5°C). The best time to visit South Carolina to enjoy nature and its lush gardens is any time between the months of March and May. When it comes to South Carolina’s many gorgeous beaches, it’s best to visit during June or July, while the month with the least crowds at the beach is September. For the best of the state’s festivals, come by during the peak seasons of September through November. If, however, you’re looking for the best deals, January and February are the best times to visit. Many people arrive by plane at the Charleston International Airport, located about 12 miles west of the city on I-26. For people who enjoy traveling by train, Amtrak runs its Silver Service/Palmetto train that begins in New York and runs through Washington, DC, before passing through Charleston on its way to Orlando and Miami. Arriving by car, visitors can use U.S. 17, the main north-south coast road, or I-26 which runs northwest to southeast and ends in Charleston. There are two bus companies that serve Charleston: Greyhound from Columbia, Myrtle Beach, and Savannah; and Southeastern Stages with similar routes. 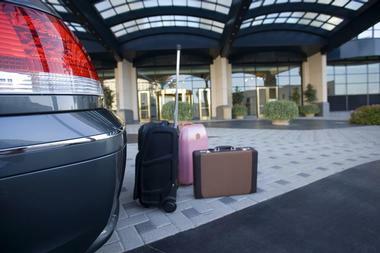 There are several ways to get to and from the Charleston International Airport. The Charleston Area Regional Transportation Authority (CARTA) operates an express non-stop bus service called NASH to and from several different stops in the downtown area and the airport. This is a reasonably priced way to get downtown and the CARTA stop is just outside of baggage claim. The Downtown Shuttle is more expensive and, as a shared ride shuttle, makes several stops, depending on the number of passengers. Going by taxi is another option and there are many taxis at the airport. There are five car rental companies located near the baggage claim area inside the terminal. The Charleston Area Regional Transportation Authority (CARTA) is Charleston’s public transportation system. It consists of buses and trolley lines. Tourists will not use the buses as much as the trolleys unless they want to visit places like Mount Pleasant, the town east of Charleston. The buses have one way fares as well as money-saving one-day and three-day passes. The trolleys are free to ride. They are used by visitors because of this and because the trolleys stop at many of the most popular attractions like the Charleston City Market, the Charleston Museum, the South Carolina Aquarium, Waterfront Park, and many other places. Charleston is a walking city, so getting around by foot is the best way to explore this historic city. By walking, visitors can enjoy a relaxed tour of art galleries, boutiques, restaurants, and the many old historic homes that abound in Charleston. Many of these are located close to each other. There are several taxi companies with taxis at the airport and in the downtown area. If you need a taxi outside the city limits, it’s best to call to make a booking. A car is really only necessary if you’re visiting or staying outside of the city. Biking is popular and there are many scenic bike paths. 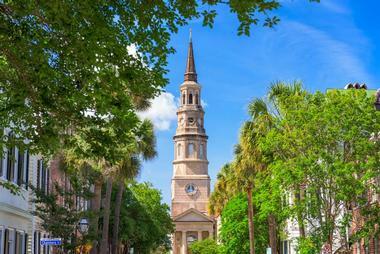 Charleston is renowned for its Lowcountry cuisine as well as French and international restaurants. Lowcountry cuisine was created in Charleston: it consists of a blend of traditional Southern, African, Caribbean, and French elements. Farm-to-table is also an important part of Charleston’s restaurant scene. Chefs use ingredients that are produced locally and seasonally. In Charleston, visitors will find upscale fine dining restaurants, country kitchens, seafood joints, and much more. Charleston’s City Market is a popular place to find snacks and dishes; visitors can eat at the market or take their meals down to the Waterfront Park. 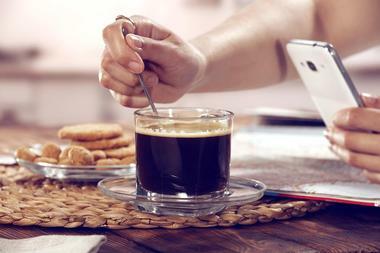 There are also bakeries, cafes, and coffee shops for light meals. 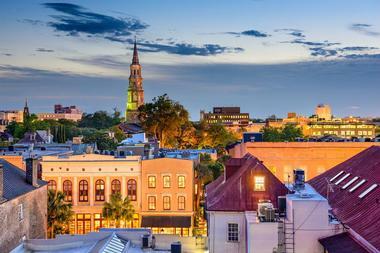 Charleston offers some of the best shopping in the Carolinas. One place to start is on King Street: there are many upscale boutiques and shops here. On the ground floor of the Charleston Place Hotel is the Shops at Belmond Charleston Place with designer brand shops like Gucci and Louis Vuitton. In the Upper King Street Design District there are trendy boutiques aimed at young shoppers. There are several shopping malls and outlets like Citadel Mall, Freshfields Village, and Mt. Pleasant Towne Centre. Some of the things that visitors will find in Charleston include antiques, artwork, arts and crafts, books, clothing, fabrics, jewelry, kitchenware, and much more. 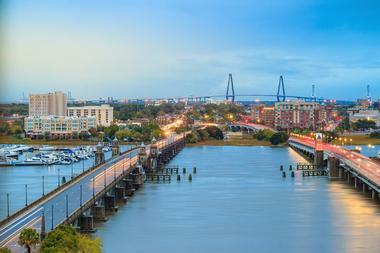 Charleston consists of several neighborhoods, the most popular and well-known being the Historic District. The best place to see historic buildings is at the city’s southernmost point where the Ashley and Cooper rivers meet. The Downtown district has some attractions like the Old City Market, the Dock Street Theatre, many historic churches, as well as good shopping. North Charleston, where the airport is located, is a residential and industrial area. West Ashley is where the colonists first arrived in the 1670s. Here you can see Charleston’s birthplace: the Charles Towne Landing. 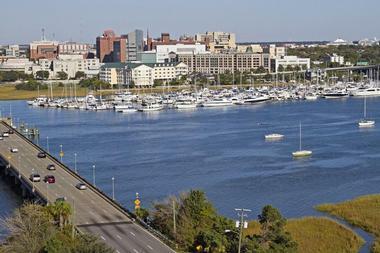 Mount Pleasant is east of the Cooper River and close to the Historic District: Mount Pleasant is the home of the Old Village on the riverfront. Because of the beauty of the city and its historic atmosphere, Charleston is a popular destination for couples to hold their weddings. Hotels and their banquet rooms are often a good choice for a wedding. In Charleston some of the hotels include the Francis Marion Hotel, the Hyatt Place Charleston-Historic District, Courtyard by Marriott Charleston Historic District, and many more. Many people want to have their ceremonies in a historic home: some of these are the Mansion at Woodlands, the McLeod Plantation, and the Governor Thomas Bennett House. Some people like to have their ceremony near the water, but how about on the water? SpiritLine Cruises offers weddings on its boats. Charleston is well-known for its historic inns. Hotels and inns in and close to the Historic District tend to be a little more expensive than accommodations further away from this district. 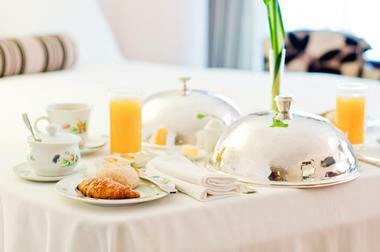 Bed and Breakfasts can be as grandiose as an entire historic home or as simple carriage houses and cottages. 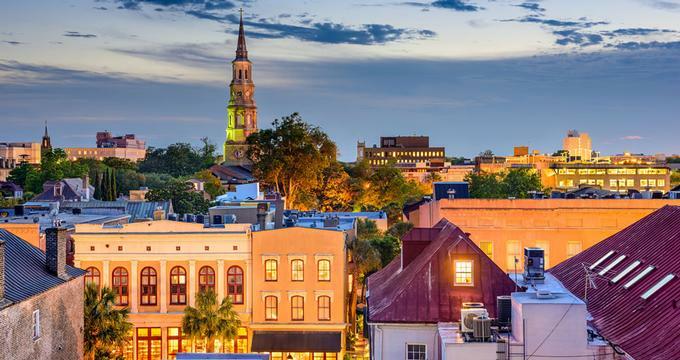 For budget-minded travelers, visiting and eating in Charleston but finding accommodations outside of the city is an option. There are many clean and comfortable chain hotels in several areas, but most are centered in the North Charleston District close to the airport. Another option is a self-catering apartment with typical stays of three nights to several weeks.